Δελτίο τύπου: «Free all of the gun barrels and light them up! The pirate metal-ravagers of RUMAHOY fire off their debut "The Triumph Of Piracy" into the seven seas. Bustling Pagan Metal-riffing mixed with exotic ancient instrumentation. Beware of dancing peg legs when Captain Yarrface asks for a fervent "Forest Party” and hook into each other and sway to and fro until your parrot goes overboard. 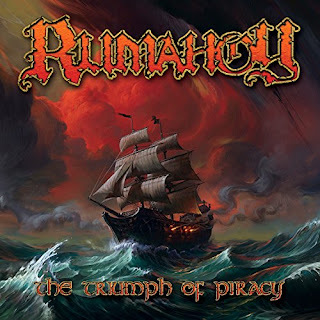 RUMAHOY produce melodies that run like the swell of stormy seas. The rough and rugged chants of their sea chanties will have you shivering. Album: "The Triumph of Piracy"